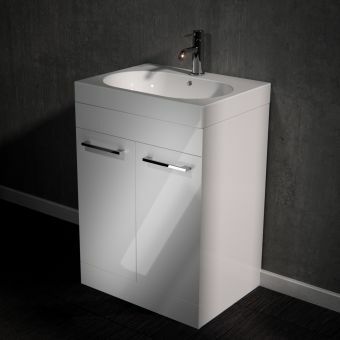 The subway vanity unit, also known as the soho vanity unit, has been the most popular vanity unit Villeroy & Boch have produced. 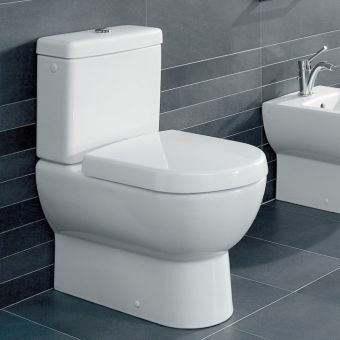 Available now in three different colours including macassar, walnut and glossy white. 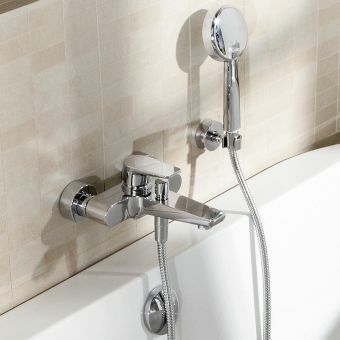 This wall hung storage unit is supported completely separately from the basin and is supplied with the hanging brackets. 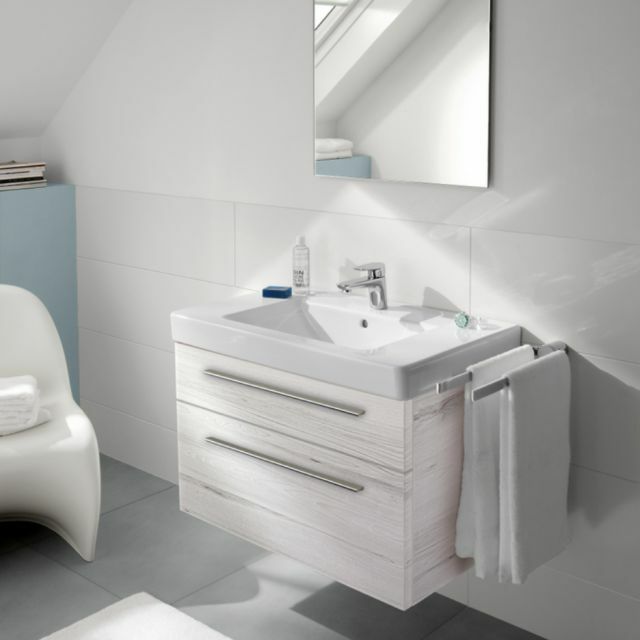 Villeroy & Boch were one of the first suppliers to provide wall hung bathroom pull out storage, or drawers. 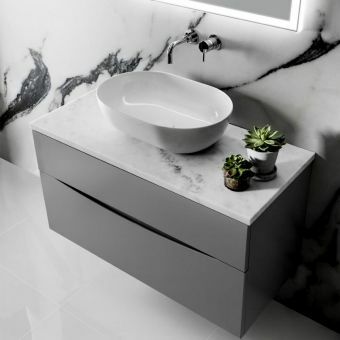 The depth of the unit uses almost all of the basin area providing a far greater storage area beneath the basin without taking further storage space in the bathroom. 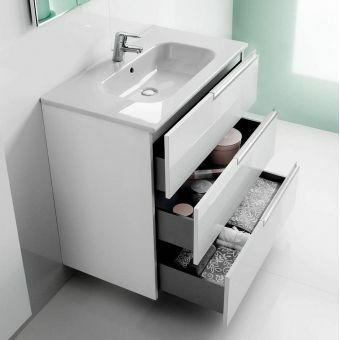 Villeroy & Boch, renowned for the quality of production and materials, use Blum drawer runners. 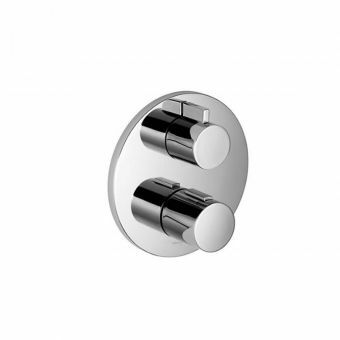 More popular in the kitchen industry Blum are leaders in the market place for quality and innovative design. 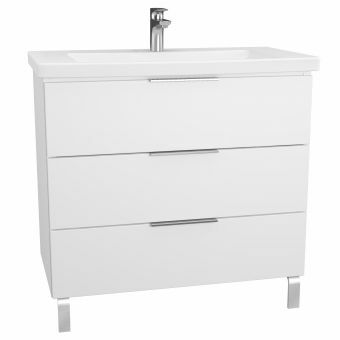 This soft close drawer mechanism can operate with substantial loads and is extremely durable. Another feature to note which is not always pointed out is the quality of the veneer finish. 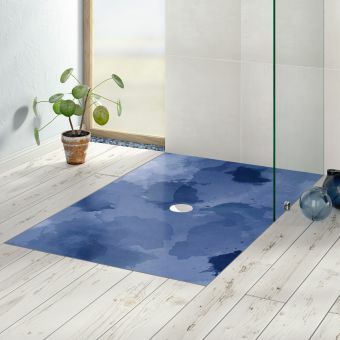 Bathrooms are harsh environments and high in moisture. Most veneers will cover the face of the product and then are edged for the sides. 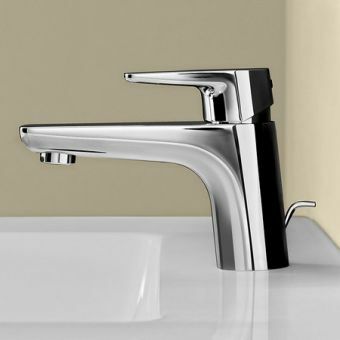 This can be the weak point and ingress of moisture over time can cause peeling. 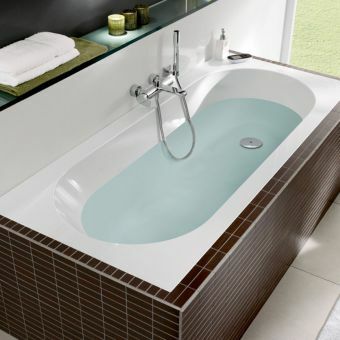 Villeroy & Boch wrap their veneer around the edges so the finish is continuous, thus providing a more durable product. 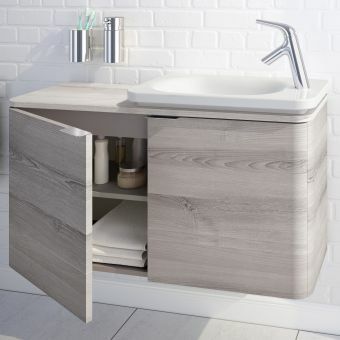 Available to suit both the 1000mm wide basin and the 800mm basin this vanity unit is popular due to the quality of the brand, the design and also is very well priced in the market. 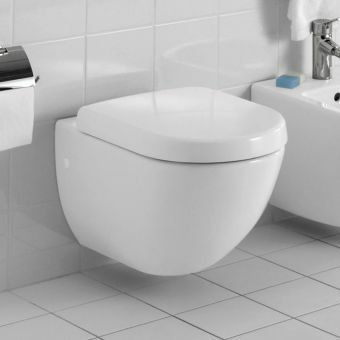 As always Villeroy & Boch innovate where others follow.